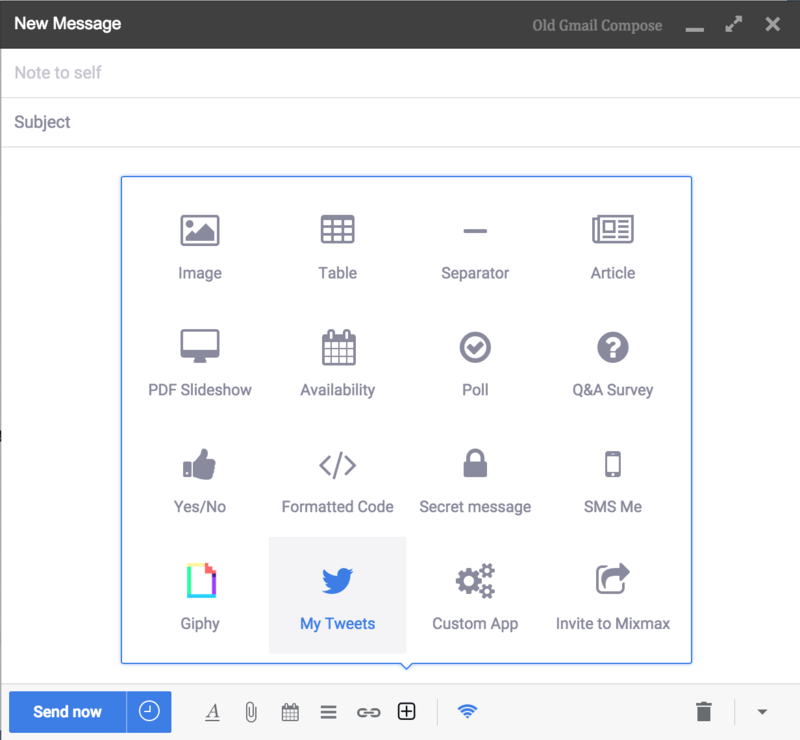 Now you can embed a live Twitter feed directly in your email – that works in every email client! It’s refreshed every time your recipient opens your email, so your recipient never misses a tweet. The Twitter feed is displayed as an iframe on clients that support it (currently Mac Mail and iOS Mail), and then falls back to a dynamic image on others. The iframe and image are generated dynamically each time they are requested, so the tweets are always kept up to date. 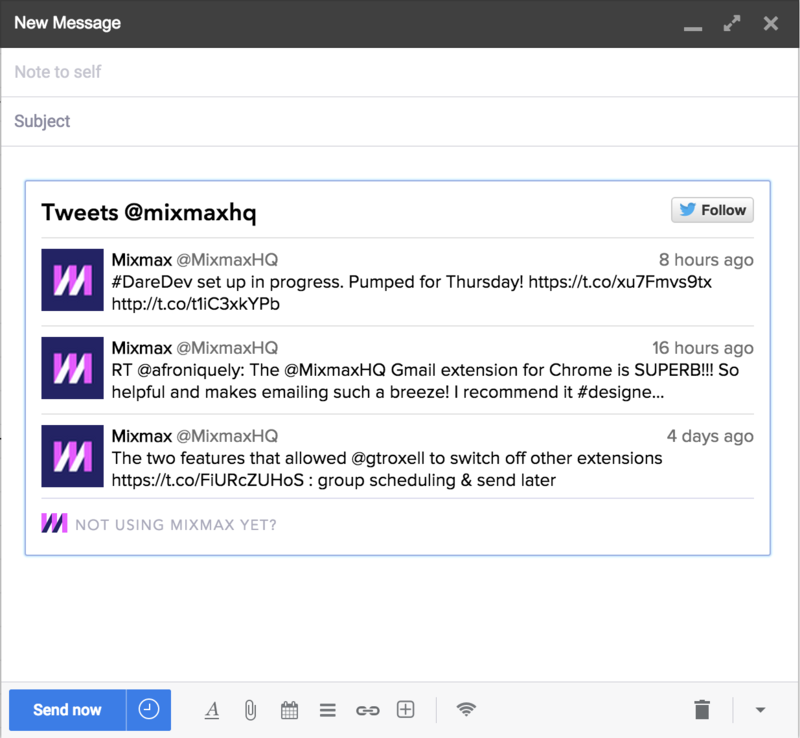 This is yet another way the Mixmax platform gives your email superpowers. Email us hello@mixmax.com or tweet us @Mixmax if you’d like to make one of your own!